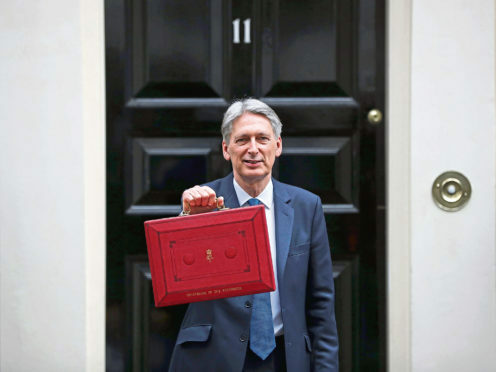 Economists have said Philip Hammond may have room to manoeuvre in his Autumn Budget after figures showed public sector borrowing fell in June. Public sector net borrowing, excluding state-owned banks, fell by £800 million to £5.4 billion in June, the lowest level of June borrowing since 2016, the Office for National Statistics said. The ONS said borrowing in the financial year to date was £16.8bn, down by £5.4bn year on year. This was the lowest level of year-to-date net borrowing since 2007. Howard Archer, chief economist at EY Item Club, said the figures could give Mr Hammond a chance to row back on austerity measures in November’s Budget. The spending figures come after the Office for Budgetary Responsibility (OBR) said tax rises would be needed to fulfil Prime Minister Theresa May’s recent promise to increase spending on the NHS by £20bn a year. The borrowing figure for the latest full financial year to March was also revised downwards to £39.4bn; the lowest net borrowing for 11 years. “Welcome news to send Chancellor Philip Hammond off on his summer holidays as the public finances continued their encouraging start to fiscal year 2018-19 with another improved year-on-year performance in June,” said Mr Archer. Samuel Tombs, chief UK economist at Pantheon Macroeconomics, said borrowing should come in “comfortably below” the OBR’s forecast for the full year. He added: “Since the chancellor’s target merely is to reduce cyclically-adjusted borrowing to below 2% of GDP by 2020-21, he has scope to scrap the remaining austerity measures planned for the next two years.